Many of us just run behind making backlinks here and there and usually don’t much focus on interlinking blog posts. There may be plenty of reason behind this like you don’t know why you should interlink blog post or why you should do internal linking and what are the benefits of blog post interlinking. So if you are among the above or want to know how to interlink blog posts, then this article is for you. Here I am going to share each and everything of Blog Post Interlinking. 1. What is blog post interlinking? 2. Benefits of Blog Posts Interlinking- Why you should interlink blog posts? 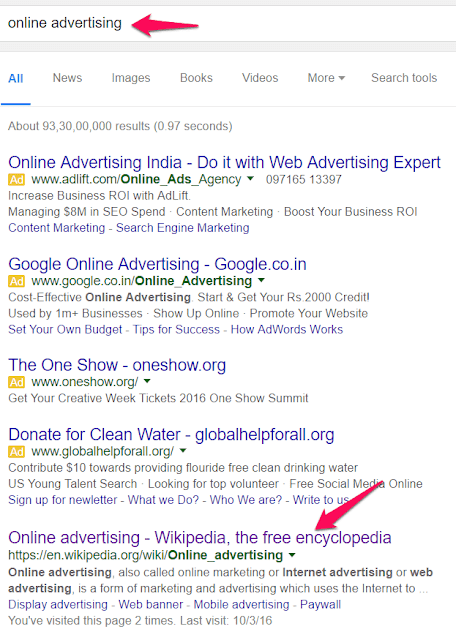 Why for almost all the search terms, Wikipedia rank at page #1 in Google? Now just open the first result which is of Wikipedia and analyze just 1-2 paragraphs. Here I am analyzing the first paragraph and just see the underlined links. As you can see there are total eight links pointed to the other article of Wikipedia and this is internal links. So you can say, the strength of Wikipedia is the blog post interlinking, and if done correctly, it can do wonder as well. Here I am not saying that Wikipedia is just ranking because it interlinks their other articles i.e. 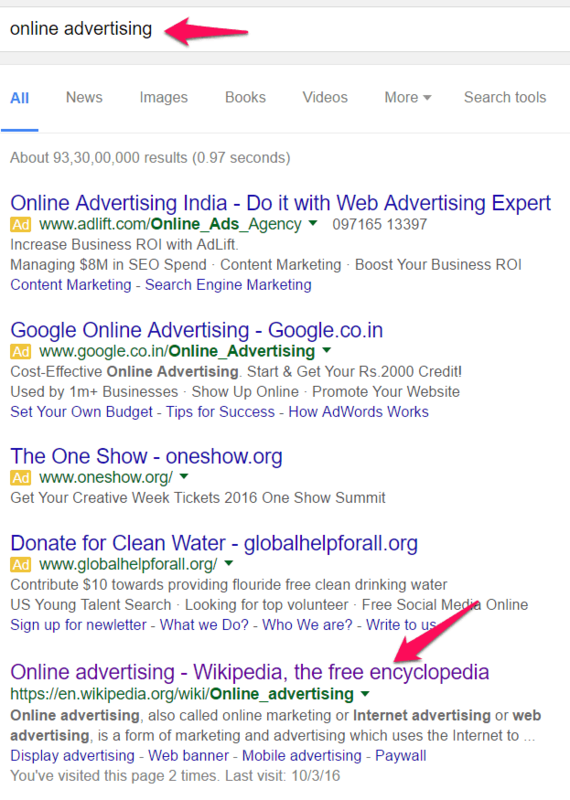 Internal linking as there are thousands of sites which give backlinks to Wikipedia. But blog post interlinking plays a significant role as well. What is Blog Post Interlinking? Blog post interlinking is nothing but linking your own blog posts to the articles. Suppose I am writing an article and using any term for which somewhere else on the web, a better explanation is given then we usually add the link to that article to our post, this is external interlinking. But if the reference article is on our own website and we are adding the link to that article in our current article then that is internal links and connecting the internal blog posts are called Blog Post interlinking. These links tell the search engine that with the new posts, the older posts related to the new post are equally important and helps to keep the site refreshed. Benefits of Blog Posts Interlinking- Why you should interlink blog posts? There are a number of advantages of blog post interlinking. Here I am going to share few top benefits of internal interlinking. This is the best benefits of article interlinking as per my view from a reader perspective. This gives your user some extra resources to read and get maximum benefits from your quality blog. Though this can also be done with the help of Related Post widget/plugin, but it has been found that Internal links work better than the related post area. For example, suppose you are writing a blog post on “How to select best template for blog” and you have written posts like Reduce blog load time, profitable blog niches etc. then you can link your later articles in the new article how to select the best template for blog so that if visitors are reading your new blog and came around the tips to reduce load time, they can check the detailed article on it. Search engines love great content with in-depth insights, so if you keep on linking with excellent flavor with some high-quality insights, there are a great chance that you will be rewarded in terms of search engine ranking. This is an obvious reason. When you are providing some extra reference resource to your users, they will check it and will be at your site for longer time and hence increasing the number of page views. If I could have just written this post without adding a single internal link, you might have just came checked the article and had left but just see the number of times I have added my other blog post’s links so that you don’t only get enough knowledge about if but also increase my page view and the amount of time user stays on the site. As you can see, the same idea has helped TricksRoad a lot in increasing the daily Pageviews per visitor and the daily time on site. How can you forget SEO when we are talking about benefits of interlinking blog posts? When you are adding the link of your older posts or pages to your posts and pages, the relevancy of your earlier articles increased and search engine starts thinking that the older pages are still relevant and so keep it in search engine ranking. This is why it is always said that we should promote old blog posts frequently so that some juice will remain on the old pages. Also, the anchor text through which you are linking your blog old post matters a lot. Try to use keywords in anchor tag while adding your old article in order to get maximum benefits from internal interlinking. This is another major advantage of interlinking article and pages. As the bounce rate is one of the factors of SEO among hundreds of other factors and so, you simply can’t ignore it. This should be avoided at any cost. You should do something or provide something which will keep your visitors stay longer on the site. So if you site’s bounce rate is 70 then out of 100 visitors, 70 leave your site just by viewing 1 page. Ideally, your bounce rate should be less than 50 which is considered as a great factor. We have decreased our bounce rate since the time we have started working on the blog post interlinking, and as you can see, this has helped a lot. So start interlinking and you will see a major decrease in bounce rate. Definitely, if you have more quality resource to provide, there will be more engagement for sure. Just think of two shops, one is having few items, and another has more. Which will have more customers? And the same applies here as well. No exactly through the number of posts but how we are using those posts. So keep on adding as many internal links you can do but don’t do irrelevant links. By this way, you are not going to have only engagement on the new posts but also on the linked posts. As soon as you are linking some internal pages or posts to the other posts/pages, it passes the link juice from one page to another, and so this is highly recommended to do internal interlinking. 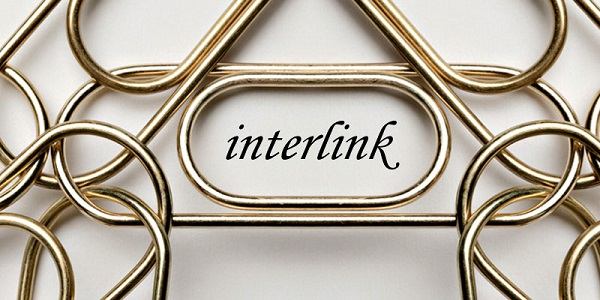 Now as of now you know what is internal linking and benefits of blog post interlinking. 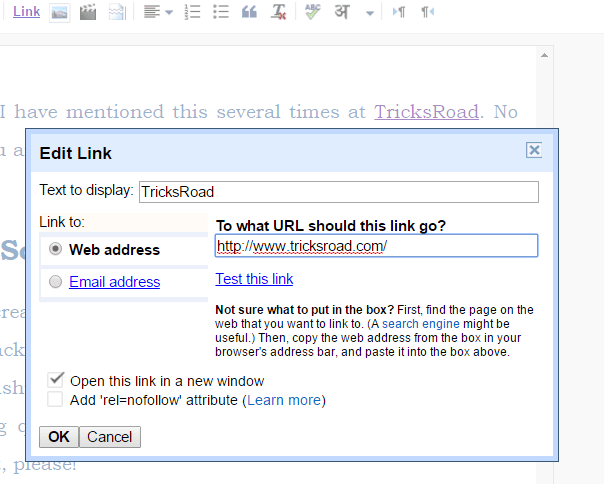 So now let me tell you how to interlink blog posts easily. This completely depends on the platform you are using. If you are on Blogger or have developed a website using your own code like in HTML/Php etc. then you will have to do it manually while WordPress users will get benefits of having WordPress Plugins. So let me tell you each one in detail here. Doing internal linking in both Blogger and HTML sites are similar stuff, and you will have to do this manually. Whenever you are writing any article and have come to a phrase where you think, you have written some detailed content on it, just interlink the old content with the phrase in the new content like below. All you have to here is, select the phrase you want to link, click on the “Link” shown in the menu bar and paste the link in the Web Address column. Here you are having another option like whether you want to keep the link as nofollow or dofollow. By default, it will be dofollow until the time you are not ticking the checkbox to make it nofollow. You are also having another option for a new window. Where you want to open the link, in the same window or new window. As per my view, you should always tick the new window option so that users will not leave your site as soon as they will click the link and tick the “rel=nofollow” checkbox when linking to some external site and leave it as it is if you are doing internal interlinking. Although there are many benefits of nofollow backlinks but to be on the safer side, make the external links nofollow. By this way, you can interlink blog posts in Blogger and HTML. Doing internal linking in WordPress is comparatively easy compared to the Blogger platform due to the plugins. Yes, there are a number of plugins available do a single work in WordPress which makes our work damn easy. With over 43,648 plugins with 1,211,619,084 total downloads, WordPress is most popular CMS currently. Also, there are over 25-30 plugins to interlink HTML pages or Blog posts, but here in this article, I am going to mention the top 5 WordPress plugin for Interlinking blog posts. I have personally tried these blog posts interlinking plugins and these are very much helpful and recommended. Here is the list of 5 top WP interlinking plugins which are going to help you in your internal interlinking journey. I have used these time by time on my different sites and have worked pretty well. I have used WordPress insights plugin for more than a year before moving to the other (listed in this post), and this helped very much. The only thing you will not like about this plugin is, it has not been updated since long but still works perfectly in all the latest and old versions of WordPress. Till now I haven’t encountered any problem. Mentionable is what I am using currently, and it is working perfectly alright with lots of advanced features. This is like a plug & Play plugin which works on pretty much similar style how Facebook works in the comment. While commenting on Facebook, if we want to mention someone, we use @ sign...right? Similarly, if you want to add any internal link to the post, just put @ sign and type few letters and it will start showing you the suggestions. Isn’t this making our job easy? We don’t have to remember the whole URL or article name. Just type a few letters and select the desired from the suggestions. Similar to what you saw in Blogger, the similar feature is also available in WordPress with some extra functionality like suggestions of the already published articles on your blog. As you can see here, I am trying to link to the term, and it is showing me all the related blog posts which are having the term which I want to link. If you don’t have such term used, the tool will show you all the available articles on your blog, and you can select the one which you desire. I have kept this plugin almost at the end not because it is bad or not worth, but it is premium. You will have to pay for this but believe me, every penny of it worth due to its rich feature. SEO smart link premium plugin enhances your search engine rankings by automatically inter-linking your posts either in automatic or in user-set mode. It not only helps you to manage internal linking but also help you to manage your affiliate links. This is a paid plugin and cost $149 for the professional edition and $299 for business use. Though this is a comparatively new plugin with just a few installs but looking at the feature and as it is free, in coming days you will find it growing quickly. Internal Link generator links to your content, tags and category to your articles quickly. This was all about Blog post interlinking. I hope you got now clear ideas on what is internal interlinking/blog post interlinking, how to interlink blog posts in Blogger and Wordpress and their benefits. What do you think on this? Which method do you use for interlinking?